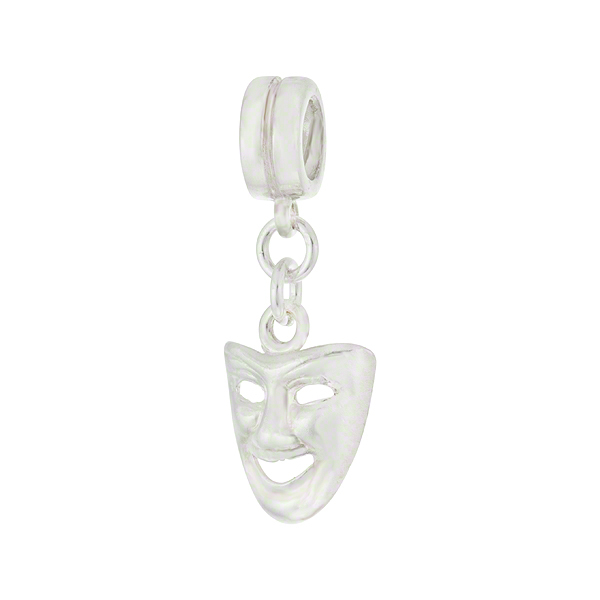 Italian Charm Venetian Mask in .925 Sterling Silver measuring about 15mm tall (without the jumpring) and about 12mm across. The most popular and well known of all the masks - the Comedy (Tragedy) is a classic sign of the theater as well. Popular Souvenir of Venice. Use your own Venetian Charm Bracelet or buy 2 and make earrings.